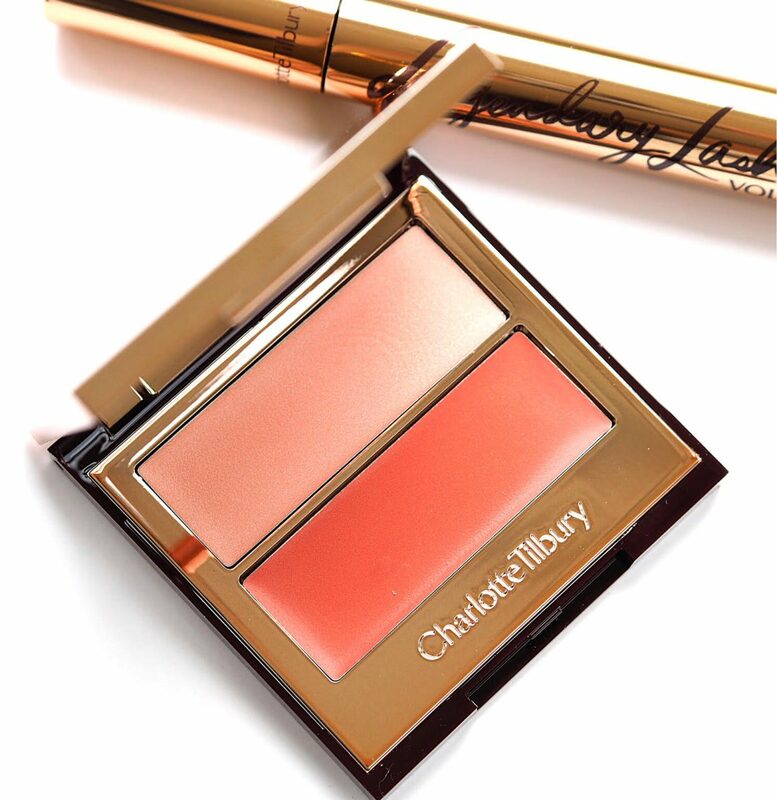 These two brand new palettes from Charlotte Tilbury have been designed to enhance both your eye colour and size using optical illusion which the brand terms Prime, Enlarge, Define and Pop. As you can see, the back of each box shows you what goes where – I’m sure there will be a video up on the CT website soon. 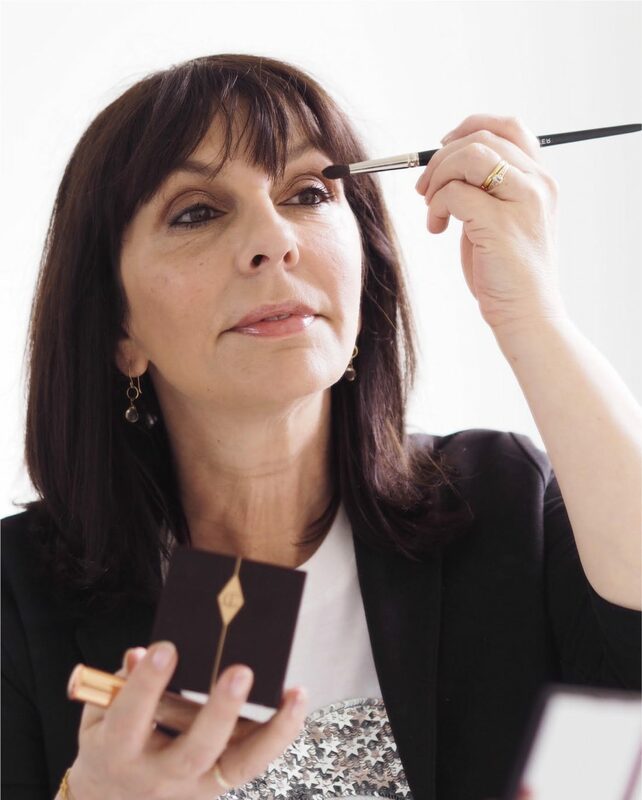 The palettes have launched HERE – and the mascara (review on Friday) – but no signs of the blush at the time of writing. 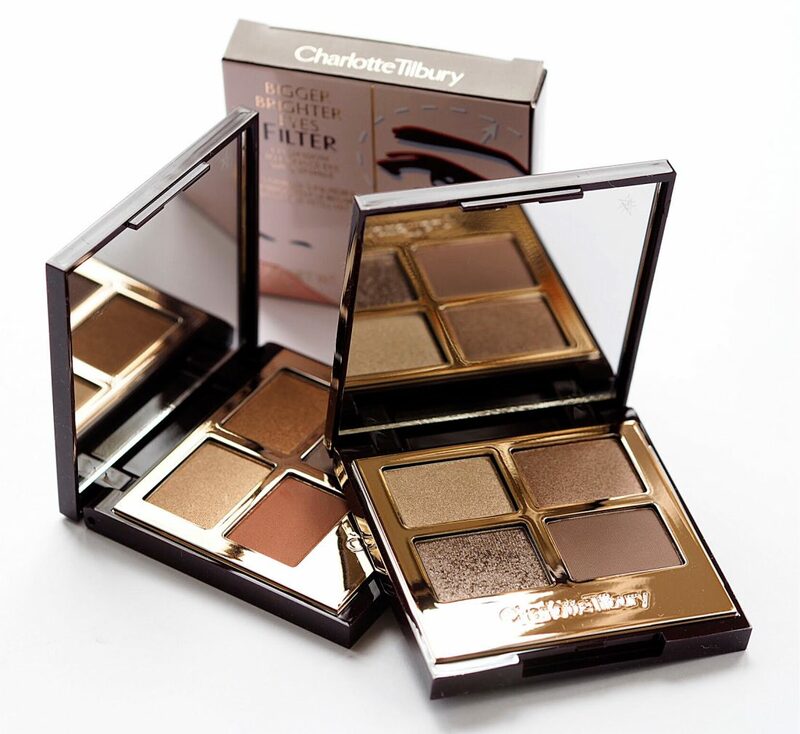 I’ve tried both palettes (£39 each) and the lighter shade palette, Exaggereyes, suits me much better than Transformeyes. There’s certainly something about the brightness of the shades that does have an eye-opening effect. The ‘pop’ shade is more of a shimmer wash, but you could easily wear any of these shades on their own if you can’t be bothered with tricks. They’re well pigmented – more than I was expecting and I went in far too hard with Transformeyes dark brown shade – there was no rescuing it so it was a restart! At the same time, the brand is introducing Pretty Youth Glow Filter blush and highlighter. Since I love a creme blush, I was delighted with these! There are two shades: Seduce and Pretty Fresh (above) and the latter is a natural winner for me. 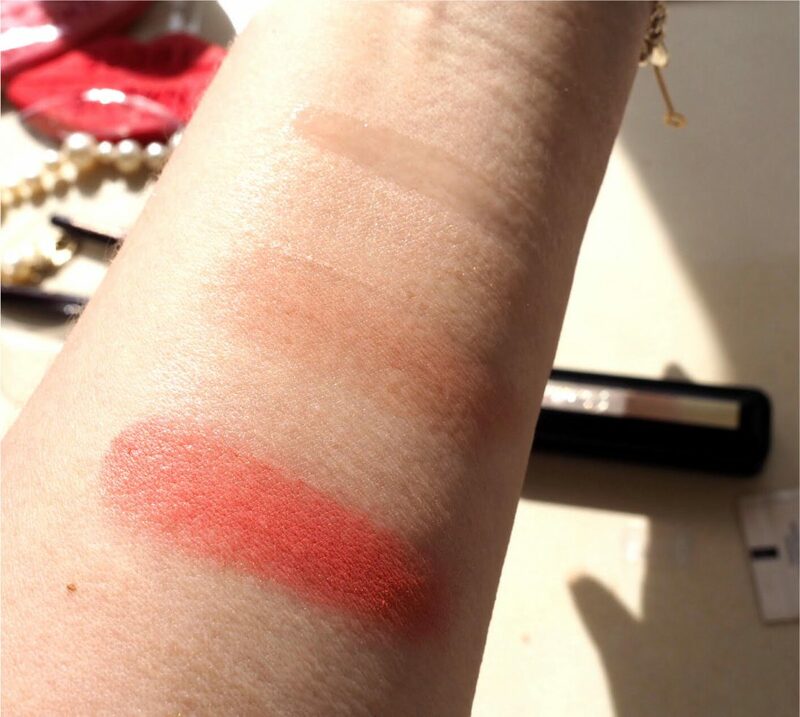 It’s that gorgeous coral pink shade that really enlivens the tone. I used a stiff brush meant for foundation (bareMinerals to be precise) but application is easy with any densely packed brush, such as an oval brush. The brand has got a specific brush for it that is the perfect shape to go over cheek bones, so if you’re feeling it, it’s called the Cheek Hug Brush and it looks like it can only be bought as a bundle with one of the cheek palettes – both together are £45, individually the palettes are £30. I think that ‘filter’ suggested on the packaging is a bit of a stretch but these do work beautifully. 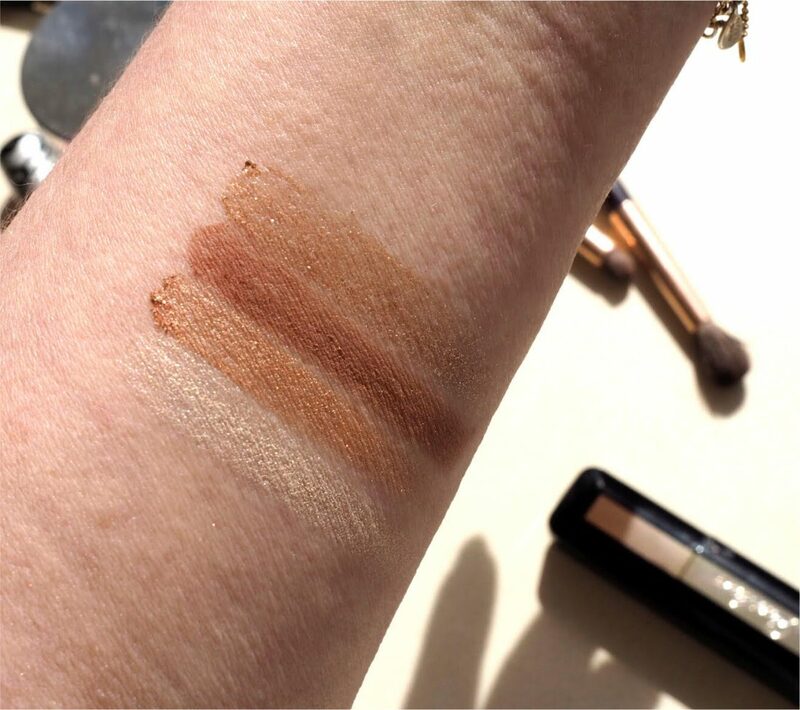 Seduce, by the way, is much lighter than it looks in the palette (it’s the one I’m using in the picture above), so I’d recommend that one for paler skin tones or for directly onto bare skin. This is Pretty Fresh. 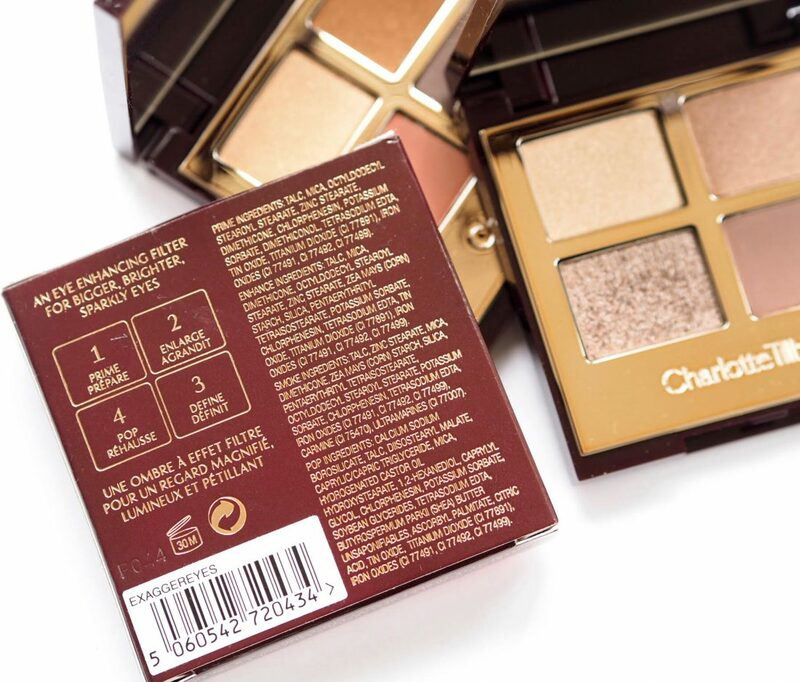 These cheek duos aren’t mega watt highlights – they’re more gentle than that and give skin a subtle sheen. If you’re looking for full on unicorn, these aren’t the ones for you. I mean, I think my eyes look brighter? The product I love most though is the Collagen Lip Bath (£25) that I’m using in this picture. 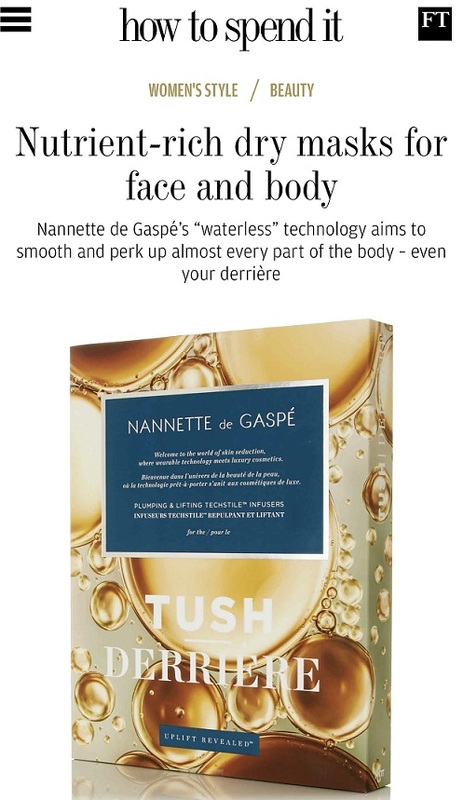 It’s a wash of almost clear gloss, fuelled with collagen, coconut oil, peppermint extract and mustard sprout extract. It feels like a gloss to be honest, but what’s truly lovely about it is the opaque sheen that it gives, that’s milky and light reflective. I love it. It really does draw light to the lips although I didn’t really see any plumping going on. There’s a new mascara, too, but I’ve yet to get to that so it will get a post of it’s own a little later on. Above is Transformeyes which didn’t suit my colouring at all. This is Exaggereyes, which does suit me! First duo is Pretty Fresh, second is Seduce and last in the row is the Collagen Bath although it’s better seen actually on my lips! Wow, Jane. 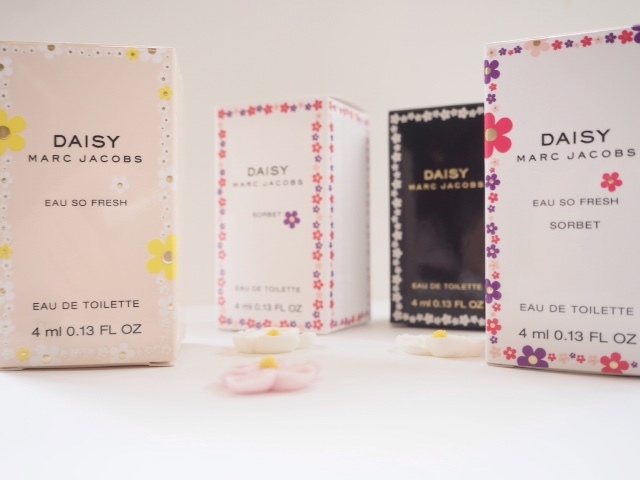 This line of products really suits you! 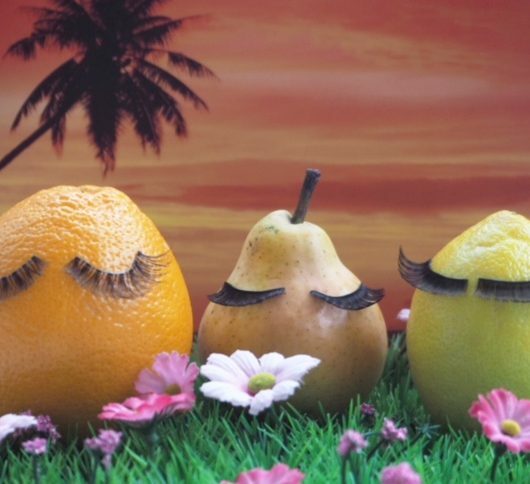 They have really enhanced your natural beauty. 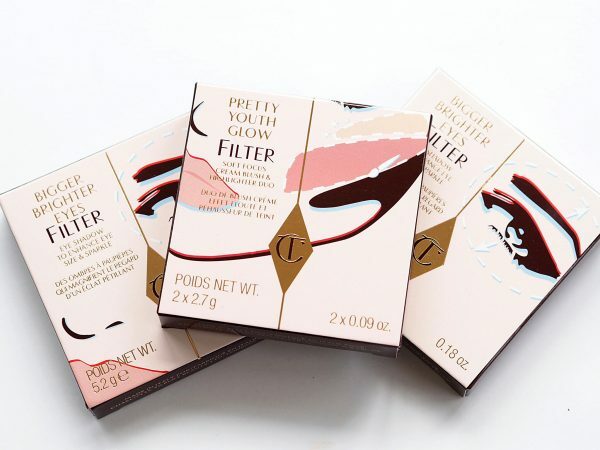 The photos of the products applied to your face have given a proper indication as to how effective they can be for those of us who aren’t 20 and aren’t that bothered about Instagram ready, full-on filtered makeup. I just want something that is easy, enhances and doesn’t make me look like I’ve done a Jackson Pollock on my face. Thanks Clare!! I’m trying to be a bit braver about showing how things look on me – I don’t use filters (occasionally on Instagram but clearly indicated) but it was good light that day. 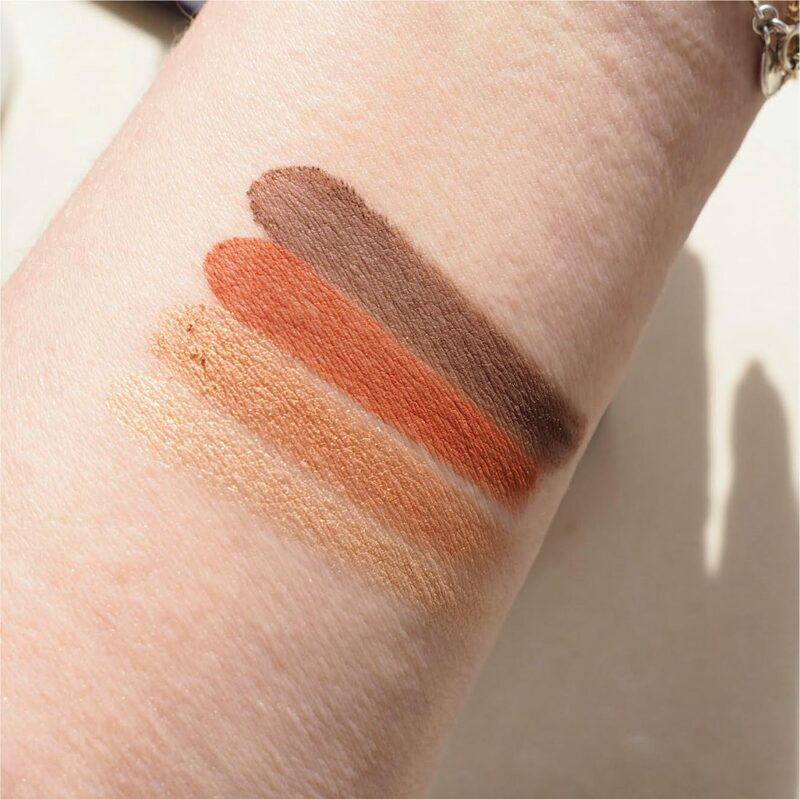 I love the lip bath I have to say and I think the eyeshadows, while probably easily replicated with shades you already have, do have a brightening effect and it’s handy to have them all in one place. 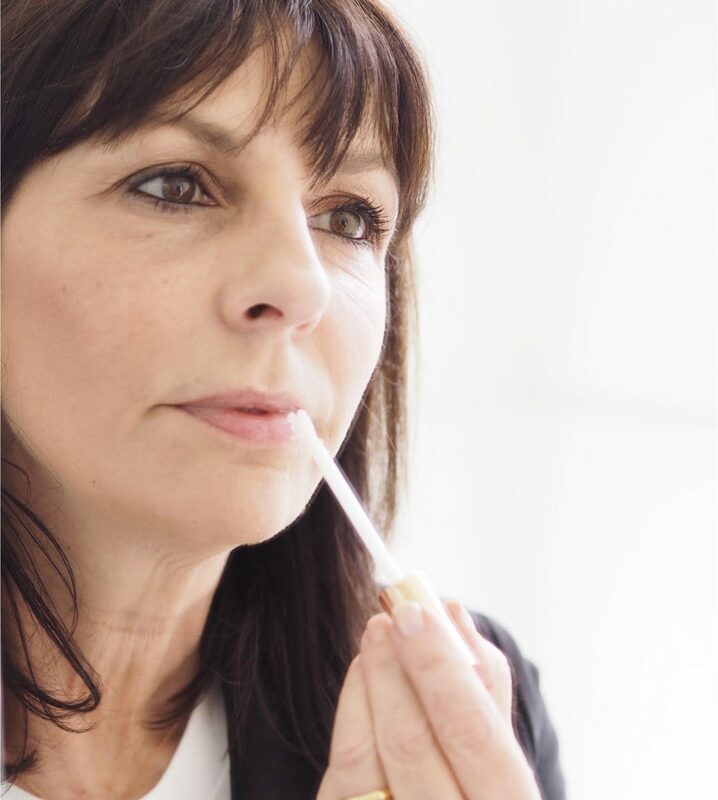 It just goes to show though that seeing product on a similar age non-model person gives a much better indication – brands should definitely be using older women! Clare I’m blushing!! :-)))) Yes they all need to get used to idea that they have customers of allllll ages and ethnicities! Hi Jane, I’ll definitely be trying out the Collagen Bath sounds great. It is lovely seeing you in pics on your blog, hiya! The eyeshadow really suits you. Thank you for sharing your photos in conjunction with one of your (always excellent) product reviews. It really helps me to see the makeup on your face. I especially appreciate how you applied the cream blush; it looks natural, and it suits you. 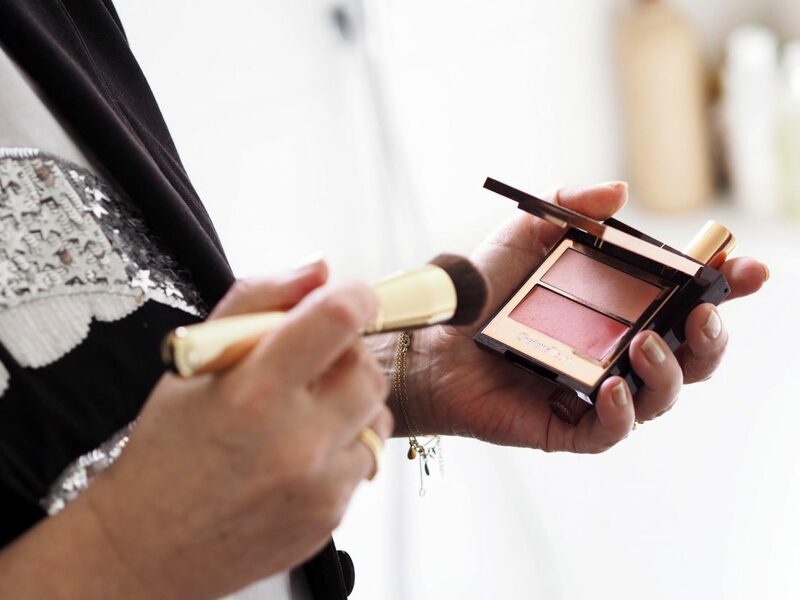 I use powder blush, even though my skin tends to be dry, because cream scares me a bit–I thought it would smear on like lipstick and look garish. Seeing a proper application makes a world of difference and encourages me to try cream…someday! Really loving all these photos of you using the products. I think it gives a real indication of how they look on. 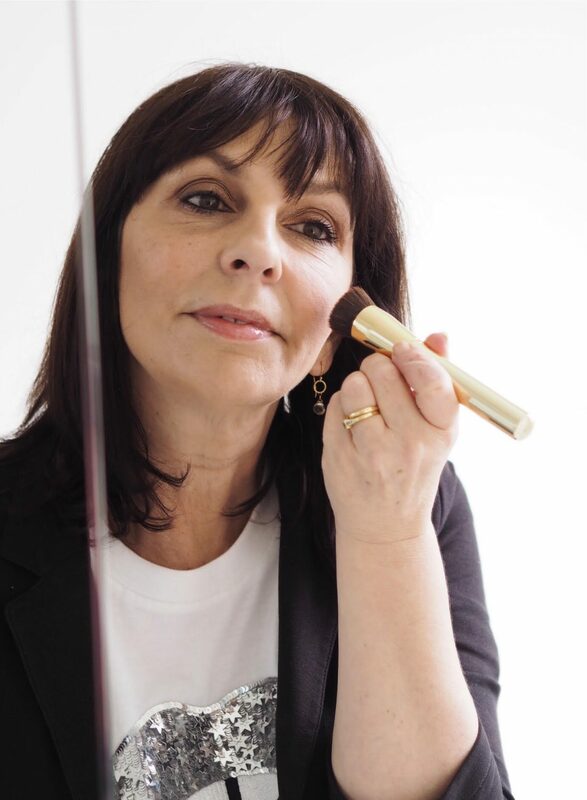 I’m still on the fence about Charlotte Tilbury products, I have had the original foundation and I have an eye quad but I felt that the eye shadows when applied with brushes gave more of a ‘wash of colour’ rather than the more pigmented colour you get if you apply with your fingers. Thank you! Well, you can follow the principle of eye brightening with colours you already have. I have the desk to dusk palette that I use quite a lot actually – it’s just got some really good colours in it but I know what you mean – they’re expensive and a wash isn’t good enough. The CT products not really doing it for me but you are looking amazing and they really suit you! It’s so nice to see products on real people who aren’t teenagers and without photoshop type stuff they put in the ads (with that small print that anyone without 20/20 vision has trouble seeing). Please do keep showing yourself with the products as I’m sure I’m not the only one who appreciates seeing how colours actually look when self-applied. The eyeshadow palette looks gorgeous on you. Really suits you! Like everyone has said I appreciate seeing how they look on.